I’ve enjoyed collecting paper money since elementary school. My first acquisition was an uncirculated 1957B $1 Silver Certificate. I still have it to this day. It was tough collecting currency on a kid’s budget. So I stuck to Fractionals and affordable small-size notes. And my teenage years were no different. I earned money as a dish washer. Still, part of my meager earnings went to currency. In 2001 I began learning how to create websites. Coding and development was a headache. But I found a home in search engine optimization. It was more strategy than programming. SEO is the process of improving a website’s search engine results. Later, I combined SEO with my love of paper money. In 2011 I launched PaperMoneyWanted.com. The goal was to connect paper money sellers with an enthusiastic buyer. I provide customers with free appraisals. Rarer notes will get immediate offers. I’m also happy to research notes for you. Subsequent changes in the online marketing landscape have necessitated multiple upgrades and design changes. PaperMoneyWanted.com now boasts responsive design for desktop, tablet and mobile browsers. Most of all, you’ll still get the same personalized service, fair offers and easy transactions. Due to high volume, I can’t reply to all emails and submissions. I buy less than 2% of the notes customers submit. Questions, Concerns or Media Inquiries? Please allow up to 3 days response for appraisal requests. If at any time you would like to unsubscribe from receiving future emails, you can email us pmw@papermoneywanted.com and we will promptly remove you from ALL correspondence. Currency images and descriptive comments, ‘Submission Data’ provided by clients is stored indefinitely in a database. The database is periodically cleaned to remove old and ‘unnecessary’ records. Unnecessary includes Submission Data which did not receive a purchase offer. Submission Data is also sent to this website’s Gmail.com account: papermoneysite@gmail.com. Customers will receive most communications from the papermoneysite@gmail.com address. All Submission Data becomes the property of PaperMoneyWanted.com. This Data is retained to document all interactions with customers. Also, some images are kept for purposes of researching, tracking and recording rarer examples of collectible currency. Images may be sent to other buyers, dealers, auction houses or paper money researchers or census keepers. Such transmissions will not include a customer’s name, email, phone, address or other info without express permission of the customer. This commonly occurs when another dealer expresses interest in purchasing a customer’s currency. Third-party payment processors do not share any personal financial information with PaperMoneyWanted.com. Such processors may provide a customer’s name, address, phone number and email as part of a transaction’s documentation. See each website for further information. Please do not use this website as traditional reference. It is meant for identification and acquisition purposes only. The website owner used personal preferences and rarity criteria to determine which notes are most collectible. Some notes designated as “No collectible value” or “Limited value” may have value to another buyer. Considered the “Bible” of USA Paper Money Collecting, this book contains expansive information on currency from Colonial times to the present, plus encased postage stamps. Images and data for all Large Size Notes, Small Size Notes, United States Notes (Legal Tender Notes), Treasury or Coin Notes, Interest Bearing Notes, Refunding Certificates, National Bank Notes, Silver Certificates, Gold Certificates, and Fractional Currency are available. You can’t be a serious collector without this book! Combining years of steadfast research, consultation with other collectors, and an intricate systematization of every known issuing bank charter, Kelly’s seminal work sits on the shelves of both major auction houses and casual paper money enthusiasts alike. A succinct introduction and history of National Bank Notes greets the collector, followed by examples of each type issued. The bulk of the book is Kelly’s magnum opus: notes issued, notes known and note values for every National Bank charter. A must have! Track and Price Currency Software – Sandy Bashover, RCMS Inc.
Indisputably the best collecting software available; something any serious collector, dealer or auctioneer must have. Track and Price is the ultimate combination of census, price guide and recent valuations in one place. Information is organized by Friedberg number. The number of notes known by condition, serial number and grade are provided in table format. This information is combined with recent values realized at major auctions, eBay and other venues. Finally, Track and Price offers estimated values of most notes by grade. Note values, census and recent sales for National Bank Notes from original issue to 1929 are also included. Information is updated at regular intervals, providing its users with a dynamic resource of paper money information. Please call with any questions, I will be happy to assist you. 1. Remove gummed edge from envelope. 2. Place note inside envelope. Leave note in plastic jacket if already enclosed. 3. 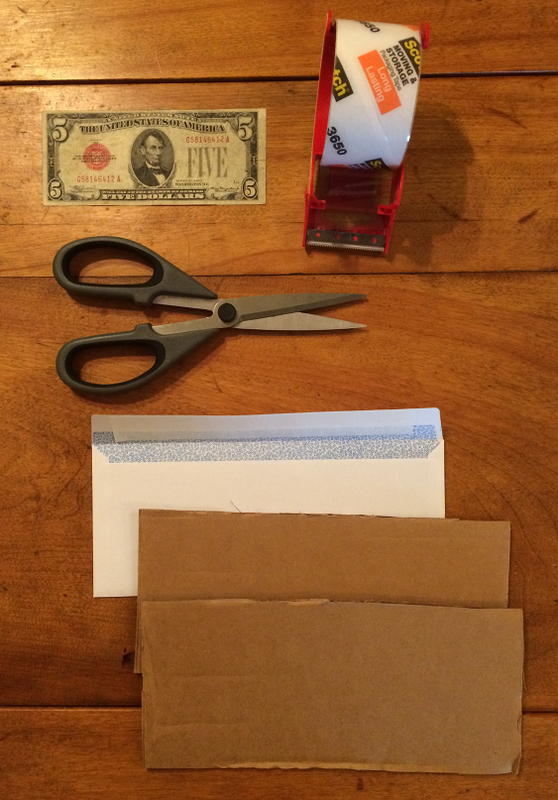 Cut 2 pieces of cardboard to size of envelope. 4. Sandwich envelope containing note between the cardboard. 5. Tape around cardboard sandwich. Top, bottom, left & right. 6. Place in USPS, Fedex, UPS or DHL container. Insure for purchase price. Send overnight. Extra Protection: Place cardboard sandwich from Step #5 into a bubble wrap envelope. Thanks for your consideration. Here’s a purchase process outline. Click links within each step for detailed instructions. Submit your note. I will reply with an offer if interested. I pay customers first by Paypal.com or Escrow.com. Pack and mail the note. Paper money shipping and packing instructions here. Ship USPS, Fedex, UPS or DHL insured. If note does NOT arrive or arrives damaged I will request a FULL refund. Insuring packages means you get your money back in the rare event something happens. Enter package tracking number at Paypal.com or Escrow.com. Funds will be released after package has been delivered. Email me the tracking number also. Fees: Paypal charges customer 2.9% transaction fee. Withdrawals: FREE to bank account. Transaction Duration: 5-8 days. Depends on date note shipped, mail service type and speed. Benefits: Easy and fast for most notes. Low Fees. Customer packs and mails note. Customer puts tracking code in Paypal system. I inspect note upon arrival. See potential refund and return situations below. Paypal releases funds to customer. Fees: YOU (seller) are responsible for all Escrow fees, amount dependent. Escow.com Fee Calculator here, use “Antique”. Transaction Duration: 7-10 days. Depends on date note shipped, mail service type and speed. Benefits: Great alternative to Paypal. Slower, more deliberate transactions for higher value items. I am Tier 2 Certified with personal ID documents and address certification. Escrow Transaction will be arranged. Your email address is required. Customer packs and mails note. Customer provides tracking code to BOTH buyer and Escrow system. Escrow releases funds to customer. That’s it, thanks for your business! 1. Why didn’t you reply to me? Answer: Please allow up to 3 days for a reply. If you do not hear from me, I don’t have interest in purchasing your paper money. Please do not submit multiple times unless you are having technical difficulties. 2. How do you formulate offers? Answer: Offers are determined by reviewing paper money handbooks, auction results and my own collecting preferences. Notes with investment potential may garner extra premium due to potential resale value. 3. Will you meet or beat another person’s offer? Answer: Yes! In other cases I’ll step aside. I will advise during negotiation. 4. What if my note is extremely valuable? Answer: I can connect you with reputable national dealers and major auction houses who can afford it. 5. How do you assess my note’s condition? Answer: Submit high quality photos or scans. I will request the opposite side of the note before making an offer. Read more about paper money grading here. Photos can only reveal so much about a note. Other factors include paper quality, paper originality, stains, tears and pinholes which can’t be discerned over the internet. Notes can only be graded accurately by manual inspection. Any potential defects impossible to discern from photographs are built into my best offer. The above does NOT apply to notes already graded by PMG, PCGS, CGA or other recognized third party grading authorities. 6. What taxes apply on this transaction? Answer: I do not pay tax in Florida on coin and paper money transactions. The state is known to be a haven for many coin and currency businesses for this reason. Transactions completed elsewhere may be subject to local and state taxes. We can discuss this during the purchase process. You may be liable for capital gains. Subtract the purchase price from your original cost. If the amount is positive, consult state and federal law to determine whether you must pay taxes. If the amount is negative, you may be able to claim a capital loss (deduction). Please speak with an accountant or tax lawyer for guidance. They will offer counsel based on your specific tax situation. Unfortunately, I can not offer you any guidance. 7. What if you don’t like my note upon receiving the package? The note I purchased does not arrive/is not inside. Signing for a package only indicates USPS or courier has delivered something successfully. I can still request a refund if there is nothing inside or if you shipped something else. Fraud is a criminal act. Note arrives significantly different from the photos you submitted. Examples include: coffee stains, pen marks, handwriting, rips, tears, glue, dirt, other stains. If any of these should have been obvious from your photos, I will request a refund. Substantial shipping delays not discussed when you accepted my offer. I expect notes to ship promptly. Please tell me if there will be any delays. I will also communicate any scheduling conflicts in advance (travel, holidays, etc). If the note doesn’t arrive in a timely manner, I will request a refund. You airbrushed or retouched photos to obscure defects. I will request a refund. Your note is counterfeit or replica. I will request a refund. Your note is laminated (not common). Laminated means permanently sealed inside plastic by heat. The note cannot be removed without substantial chemicals and labor. I will request a refund. Your note can not be readily removed from its plastic jacket or frame (not common). I must be able to remove and hold the note in my hands. I will request a refund. 8. What if I want my note back a week, month, or year later? Answer: Please contact me as soon as possible. I will advise if the note was sold to someone else. Unfortunately, I can not share a buyer’s name unless the other party agrees. I reserve the right to NOT sell it back unless I can recoup all costs. I usually have notes graded. This process involves fees, return shipping and insurance. Therefore your buyback price for a note I just had graded would be: Purchase Price + Grading Fee + Return Shipping (to and from grader) + Insurance. Grading, mailing and insurance fees commonly run $100-$250 per note depending on its value. 1929 $10 Bill Value – How Much Is 1929 Roodhouse National Bank of Roodhouse Illinois $10 Worth? 1929 $5 Bill Value – How Much Is 1929 Roodhouse National Bank of Roodhouse Illinois $5 Worth?